Is your favorite part of cake the icing? I know when it comes to cream cheese icing, it can be a tough choice for me. Okay. Let's be honest here. I would totally choose cream cheese icing over the cake any day if I had to. 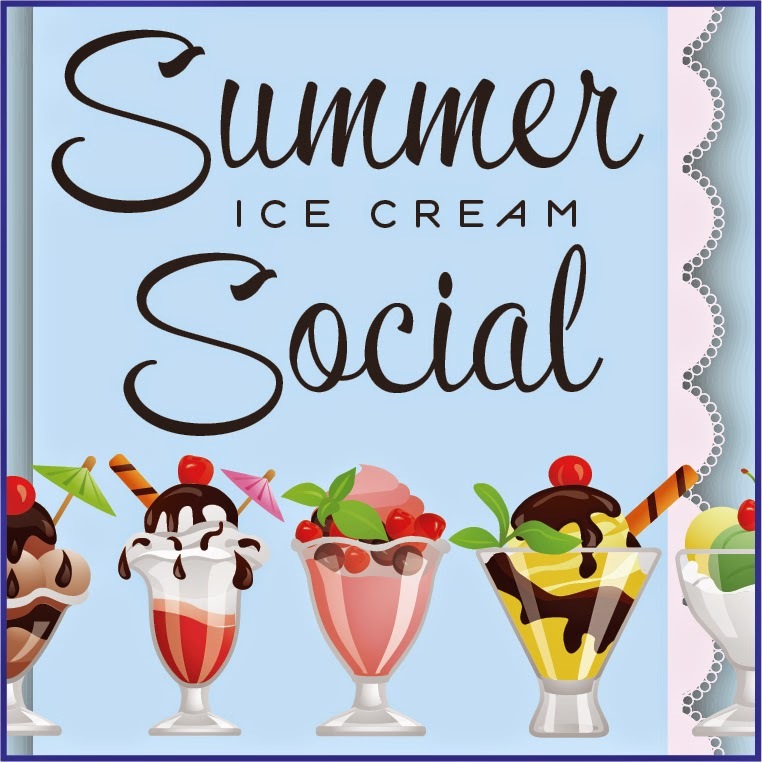 Because I love it so, I have been wanting to create a Cream Cheese Ice Cream that replicates the flavors of my favorite icing... in a summer-friendly and socially acceptable format. So this Ice Cream is absolutely perfect. Sweet and smooth and creamy, with the slightly tangy flavor of cream cheese, this frozen treat pairs with all kinds of things, from cake to chocolate sauce to fresh fruit. Or just plain. 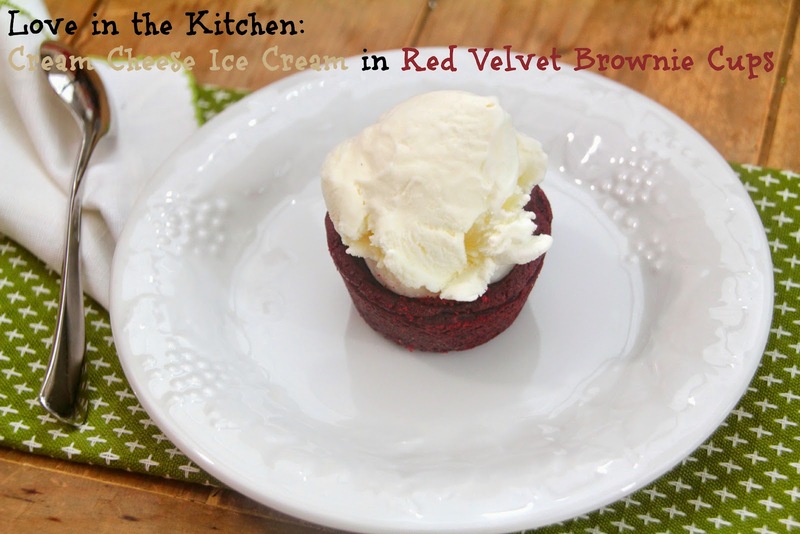 Red Velvet Brownies are the perfect vessel for this rich and smooth Cream Cheese Ice Cream. Transfer to a bowl, then stir in cream. Chill mixture in the refrigerator for two to four hours or in freezer for one hour. Process cream cheese mixture in ice cream maker for 25 minutes, or according to manufacturer's instructions. Transfer to an airtight container and put in freezer to harden, at least 2 hours. Let ice cream soften 5 minutes before serving. Combine egg, butter, water in a bowl. 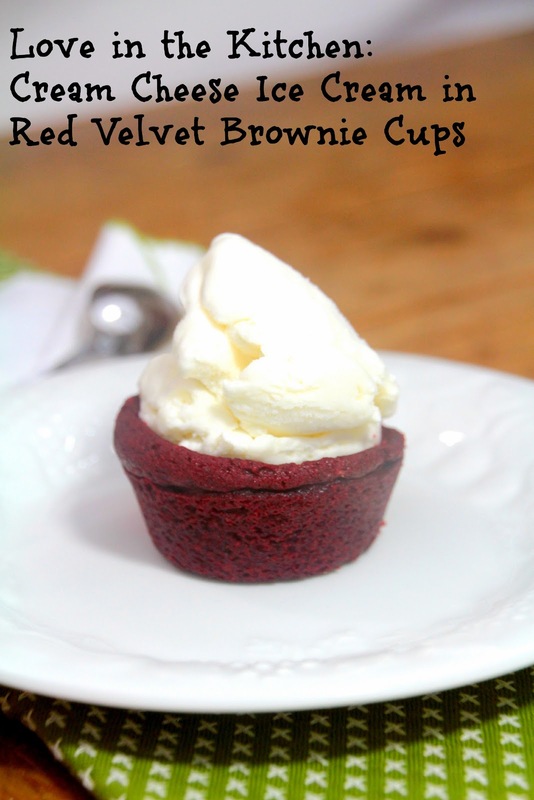 Add red velvet mix, stir until the ingredients are combined, and lumps are gone. Spray a 12-cup muffin tin with cooking spray. Divide the batter between them. Spray the bottom of another muffin tin, and pull the brownies out of the oven. Lay the second muffin tin on top and lightly press. Continue baking the brownies for another 5 - 10 minutes. Let brownies cool for 15 minutes - with the second tin still in place. Once cooled, carefully remove the top tin. Remove the brownie cups from the tin and place on wire cooling rack. Place a brownie cup on a plate. Scoop two scooops of ice cream into the cup and enjoy! Ok yum!! 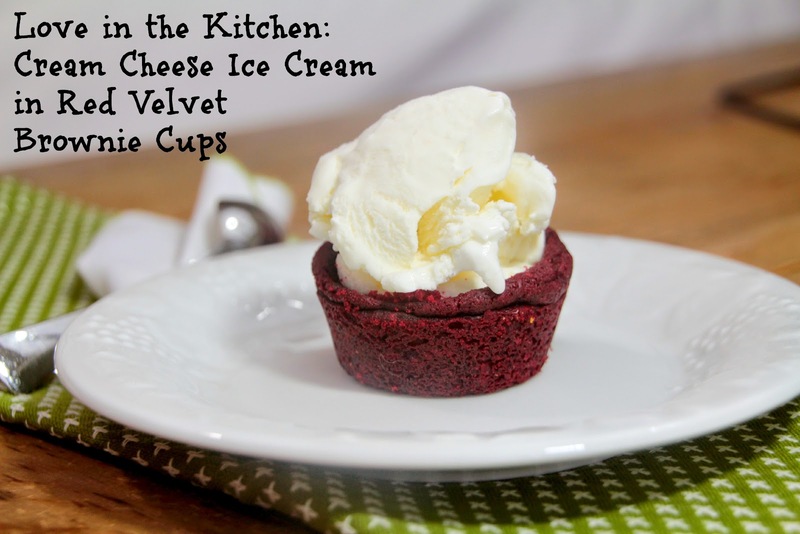 I had red velvet ice cream and found it to be waayyy too rich, this looks like the perfect solution!